Building the tools that provide transparency and control over your data has always been a top priority for us. On the ads front, we've evolved our tools over the years to help you shape your ads experience. We launched a single dashboard for ads controls—originally named the Ads Preferences Manager, now Ads Settings—in 2009, Why This Ad in 2011, Mute This Ad in 2012, and then folded these into your central data controls hub: My Account. Today, we’re announcing more additions to Ads Settings and Mute This Ad to give you more control to mute the ads you see on Google, on websites, and in apps. Let’s say you’ve walked through one too many puddles of icy slush this winter, and you finally need to replace your snow boots. You visit Snow Boot Co.’s website, add a pair of boots to your shopping cart, but you don’t buy them because you want to keep looking around. The next time that you’re shopping online, Snow Boot Co. might show you ads that encourage you to come back to their site and buy those boots. Reminder ads like these can be useful, but if you aren’t shopping for Snow Boot Co.’s boots anymore, then you don’t need a reminder about them. A new control within Ads Settings will enable you to mute Snow Boot Co.’s reminder ads. Today, we’re rolling out the ability to mute the reminder ads in apps and on websites that partner with us to show ads. We plan to expand this tool to control ads on YouTube, Search, and Gmail in the coming months. For more information about this new control, check out our Help Center article. In your Ad Settings, you can turn ads personalization on or off at any time. Now you can see information about reminder ads and control which advertisers can show you these ads. In 2012, we introduced “Mute This Ad” to enable you to block an ad that you don’t want to see. The momentum we’ve seen with this tool is really encouraging. Millions of people use Mute this Ad on a daily basis, and in 2017, we received more than 5 billion pieces of feedback telling us that you mute ads that aren’t relevant. We incorporated that feedback by removing 1 million ads from our ad network based on your comments. Today, we’re updating Mute This Ad in two important ways. First, the tool will now recognize your feedback on any device where you are signed in to your Google Account, based on your account settings. If you mute an ad for Snow Boot Co. on your smartphone, it will also be muted on your laptop. 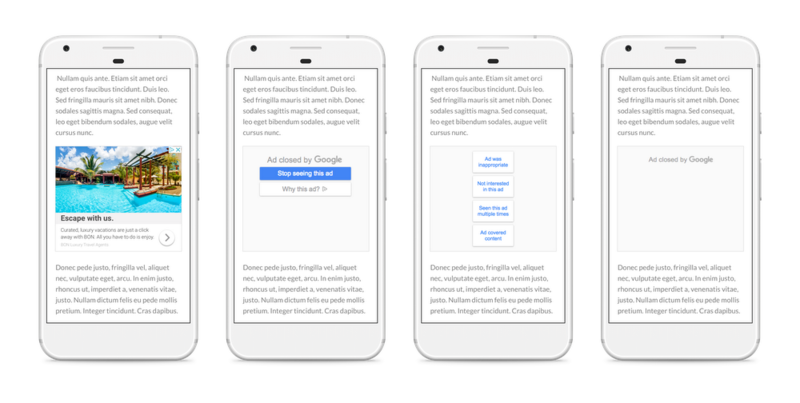 Second, you will likely see Mute This Ad in even more places as we are expanding this control to work across more apps and websites that partner with Google to show ads. Billions of people use Google every day, and each one experiences our products differently. 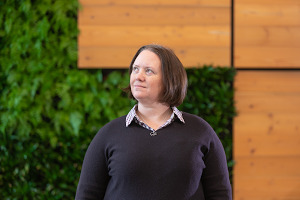 That's why we build and refine tools —like My Account, the Privacy Checkup, and My Activity—so that you can easily understand your Google data and adjust your privacy preferences, at any time. We’re constantly working to improve these controls. 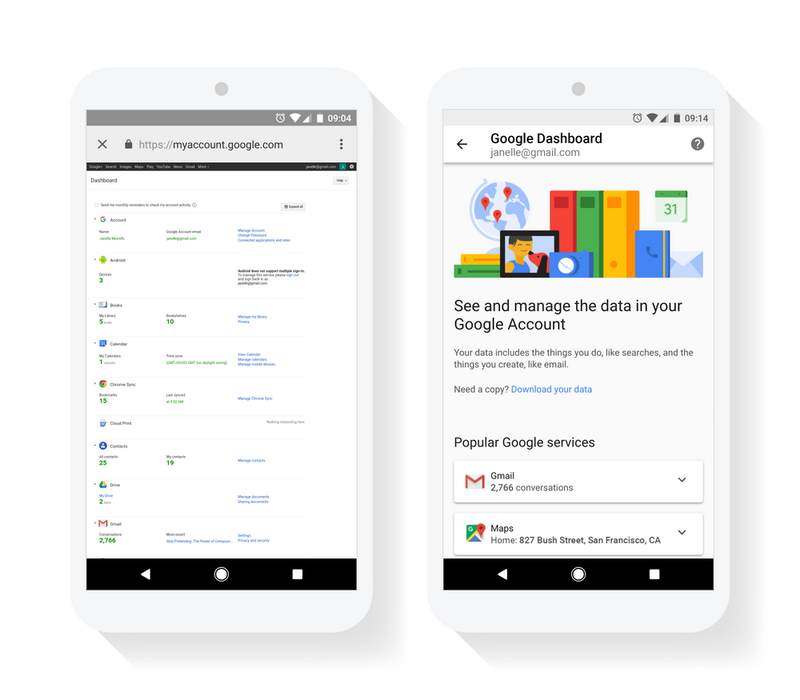 Just last September, we rolled out a major update to Google Dashboard, our tool that shows a broad overview of the data in your Google Account, so that it’s easier to use on a touch screen and is better integrated into My Account. The Google Dashboard before and after our recent update. As our products evolve, these tools will as well. We’re committed to building the products that put you in control of your data today, and into the future.